Ordinary Tai Chi, practiced for spiritual and physical health, mental balance, and fitness, teaches us an important lesson that carries over to using Tai Chi for self-defense: always stay in motion. When you are engaged in the “active meditation” that is regular Tai Chi today, you flow from one posture to the next without cease, slowly and carefully, maintaining full and perfect focus on the moment. Much the same approach is true of Tai Chi for self-defense, when you use the martial art as a martial art, with the intention of disabling someone who intends you serious physical harm. Staying in constant motion – though much faster and with vicious force – will help give you an advantage and throw your opponent off balance. Focus allows you to turn every defensive move into a counterattack as well. 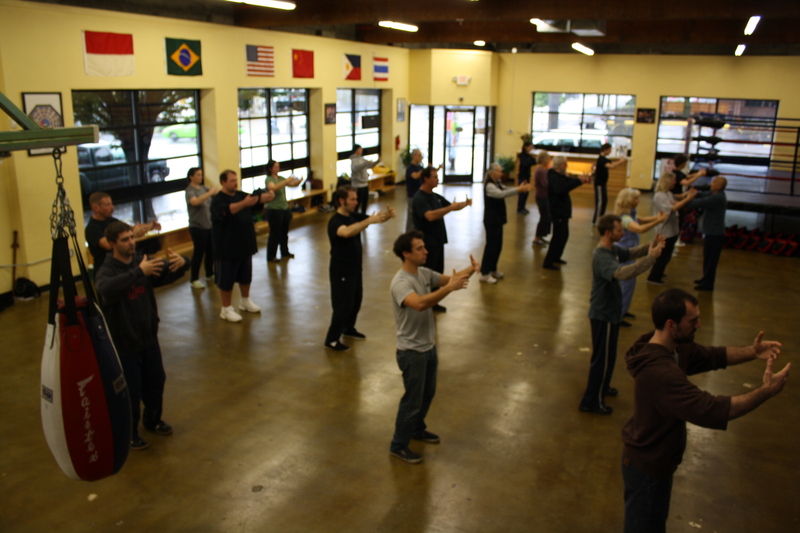 As always, it is necessary to get professional Tai Chi for self-defense training from a specialized trainer to convert your daily Tai Chi exercises into a potential tool of self-defense. You cannot just go from exercising to fighting without learning how to fight, but your regular training has already given you a solid groundwork you can quickly transform into combat readiness with the right aid. Once a fight has begun, you should never stand passively in place waiting for your opponent to do something. Since you are fighting defensively, your first moves will inevitably be reactive – your opponent started the fight, and in order to keep your self-defense status intact, you need to let him clearly commence hostilities. However, once you begin, you should press your attack steadily until your opponent is either put out of action or decides to beat a hasty retreat. (Remember that pursuing and attacking someone who is attempting to flee – even if they attacked you – destroys your claim of self-defense and makes you the aggressor, so always let someone who wants to run away, run away unhindered.) Keeping up the pressure will unnerve your adversary and break his aggression. Never stand still and wait for things to happen. If your opponent attacks, defend and counterattack. If he hesitates, attack. 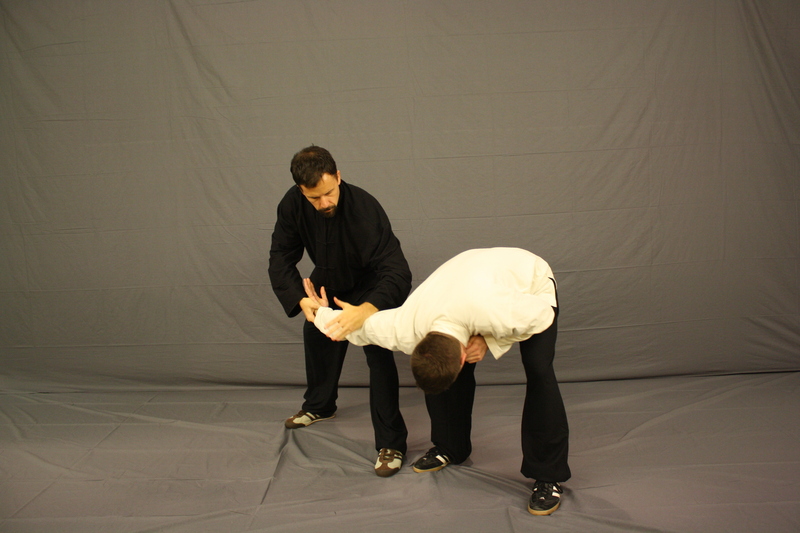 Maintain your Tai Chi focus and see the fight – and your opponent – as a whole. Do not let yourself be distracted by parts of your opponent, such as his fist or his face. 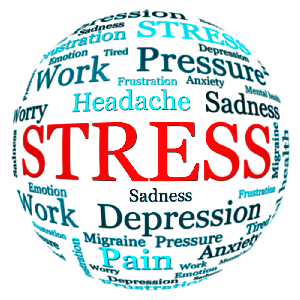 Keep the whole person in view, in focus, and keep up the pressure. Other than perhaps at the opening of the fight, your moves should never be purely defensive. Every defense should segue smoothly into a counterattack. A person is at their most vulnerable after a failed attack, so this precisely the moment when you should hit your opponent hard, fast, and anywhere you can. 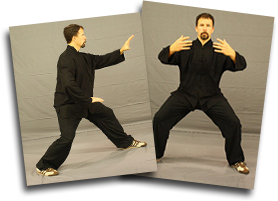 Tai Chi combat training should include a rundown of vital points on the human body. Do not aim for a specific vital point during your attacks, which will constrain and limit your actions – instead, let your instincts and training guide you, enabling your body and mind to pick whatever point you are most likely to successfully strike at the moment.